Moonshine finally found his perfect match. His foster Mom has been working with him and getting him more comfortable with brushing, washing and cross ties. Meanwhile, she fell in love and finalized his adoption. Lucky Moonshine and his new Mom, Laura! 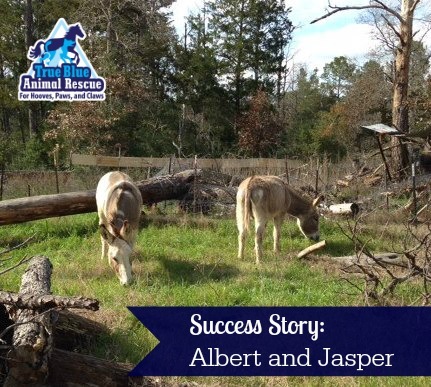 Albert and Jasper were adopted into a donkey dream home! 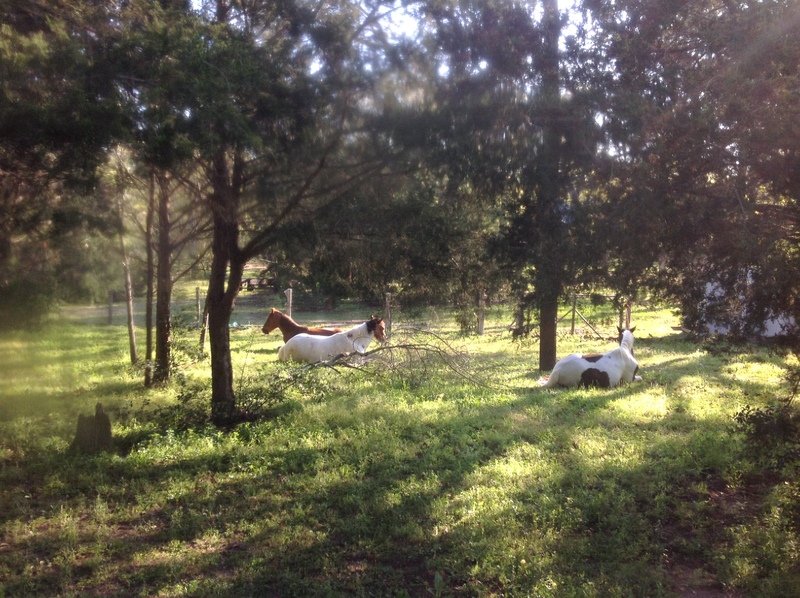 They now have acres of room to wander, plenty of grass to eat, and lots places to explore. Not only that, but they also have a great new adoptive Mom who is going to work with them on haltering, leading and brushing. They’ll be eating out of her pocket in no time!! Congrats on your new forever home! Today’s success story is Hawk! He was in an abusive home as a colt so True Blue Animal Rescue took him in along with another colt. He had been starved by his owner and didn’t trust people which made it hard to find someone to adopt him. We sent him to Juan Vendrell of TC Ranch ventures and since that time we could halter him, saddle him and he finally started to trust people! He went to a new foster home and before too long they fell in love with him and decided to adopt. Here’s Hawk when he came to us and again with his family members, horse and human. He’s grown up to be a beautiful boy!! 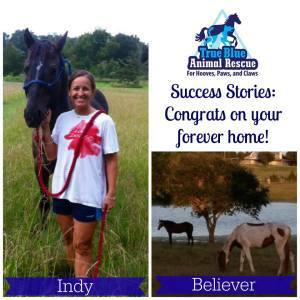 Here are our recent success stories, Indy and Believer! Indy just got adopted last week. You can see him here with his new mom (don’t they look happy together)! 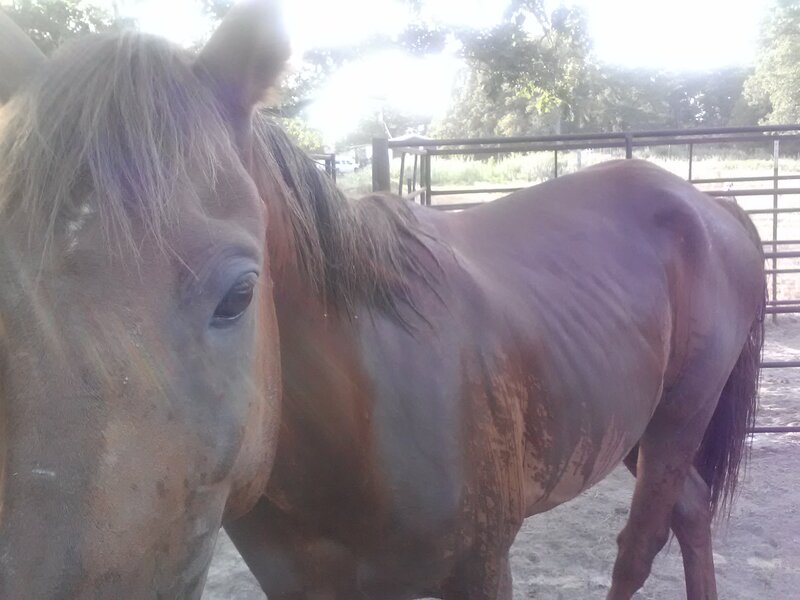 Indy was one of 57 horses taken in through law enforcement due to abuse and neglect. 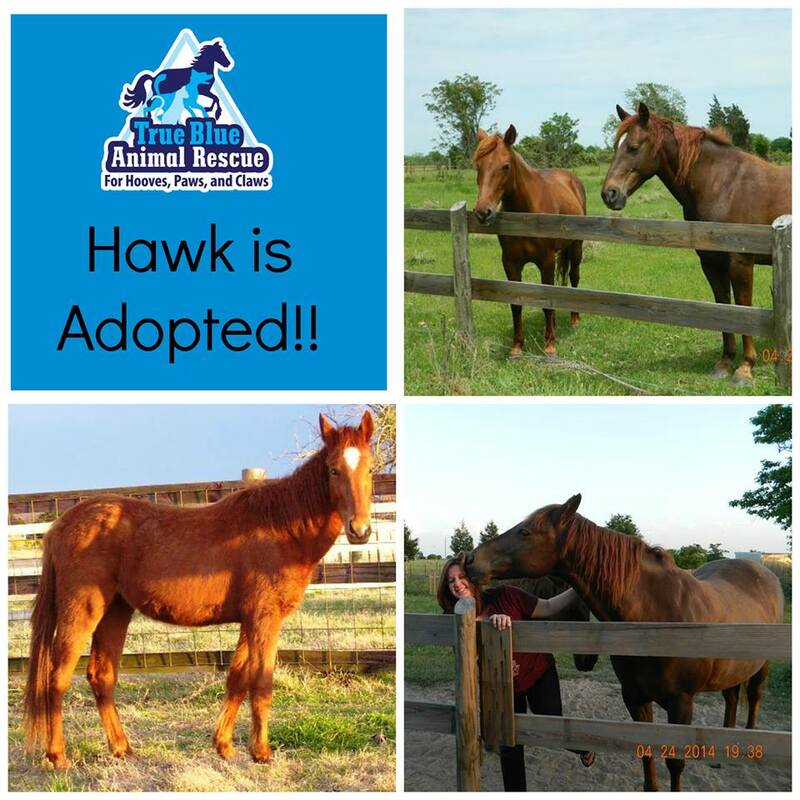 We’re just thrilled that he finally found his forever home with Susan! Believer is the paint horse out in the pasture with his new pasture mates. His mother was seized due to abuse and neglect and he was born in TBAR. Now, as a well behaved three-year-old he has finally found his new home too! 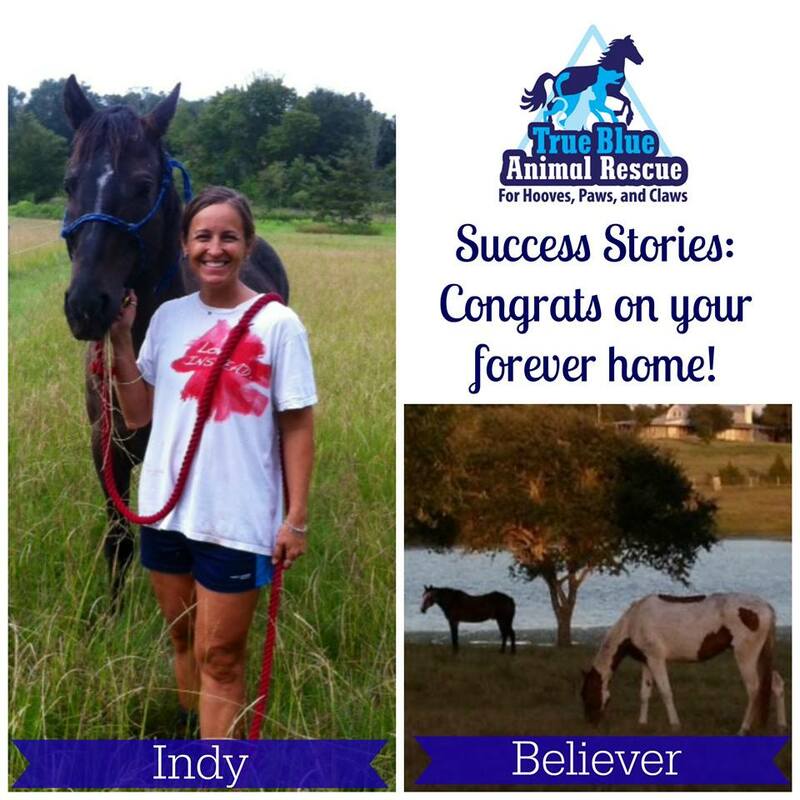 Thank you to all of the TBAR volunteers that fed, cared for, and helped socialize and train these beautiful horses so they could find their forever home! And many thanks to their new families for opening their hearts and pastures! Our #TBT is some success stories! Elmer, Bandit, and Roxy all found forever homes earlier this year, and we are so happy for them! 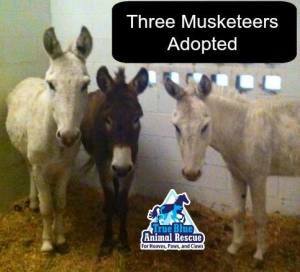 Remember these three donkeys? They were abandoned in Burleson Co. and left to starve. Thankfully Burleson Co sheriff’s dept took possession of them and brought them to True Blue Animal Rescue. Then, the best news yet, they were adopted together into a wonderful home! 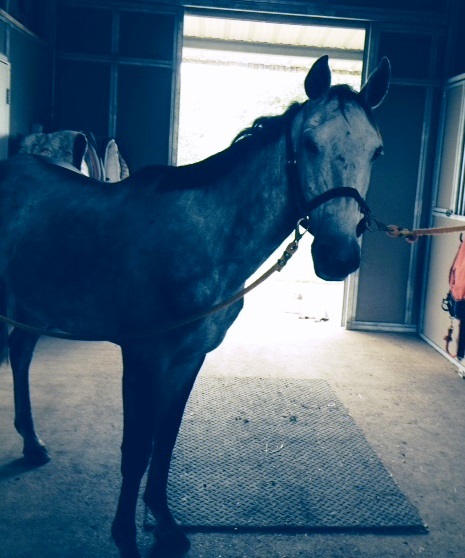 This is handsome little gelding was found by Washington County Sheriff and turned over to T-Bar when no owner claimed him. Egan was rehabilitated in a wonderful TBAR foster home who decided that they were the right fit for his forever home so they decided to adopt. Egan is now living the good life with his new family. We’d like to thank Nic for taking such great care of Egan and for giving him the forever home he deserves! 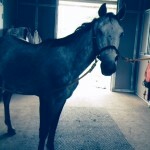 Grayheart was rescued with a large group of horses as a baby. Her foster home worked with her and taught her to trust and love people. Then Amanda and Greg met her and decided to adopt. They work with her and are training her to ride. Hooray for Grayheart and her new family! Skywalker’s foster home intended to work with him and find him a new home but in the end, they fell in love with him and decided to adopt! We call these foster failures and even though it sounds negative, this is the best kind of failure. You fail to adopt them out but you decide to love them forever and never let them go. Who else out there is a foster failure?? I am! 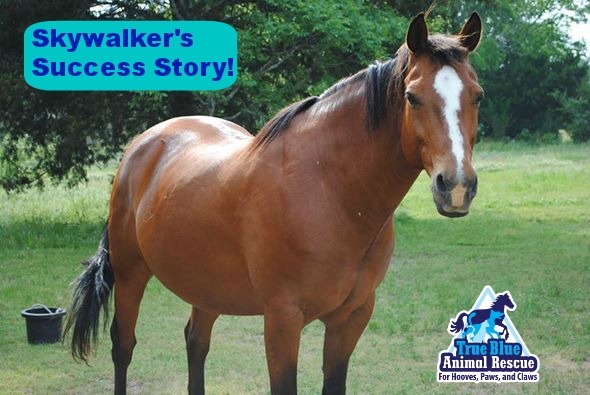 This week’s Success Story is all about Shawnee! Horses like Shawnee don’t come along every day. 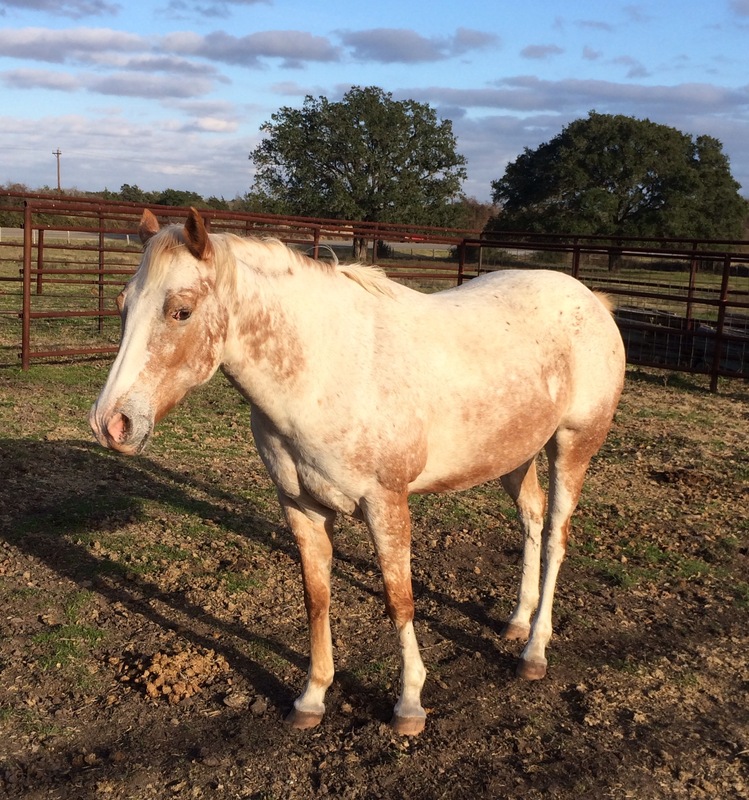 She is a rare and beautiful snow-flake red roan Appaloosa with four white stockings. 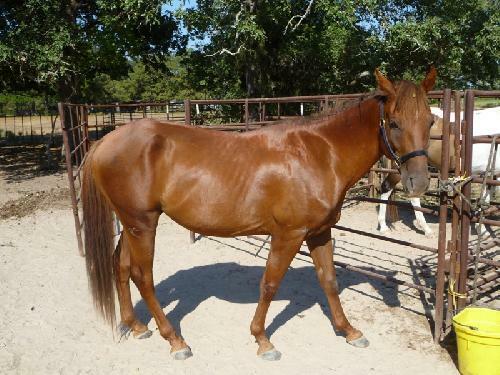 Like so many of T-Bar’s adoptable horses, Shawnee was taken from her owner due to abuse and neglect and was very skinny when she was taken in by T-Bar. She was placed in a wonderful T-Bar foster home where she received the nutrition, attention and TLC needed to rehabilitate her into the the loving lady she has become. Shawnee, now named Pinky, was understandably a bit shy and nervous in her new foster home. But with some time and patience, she began to trust again. She remembered round pen work and tried very hard to please her foster. 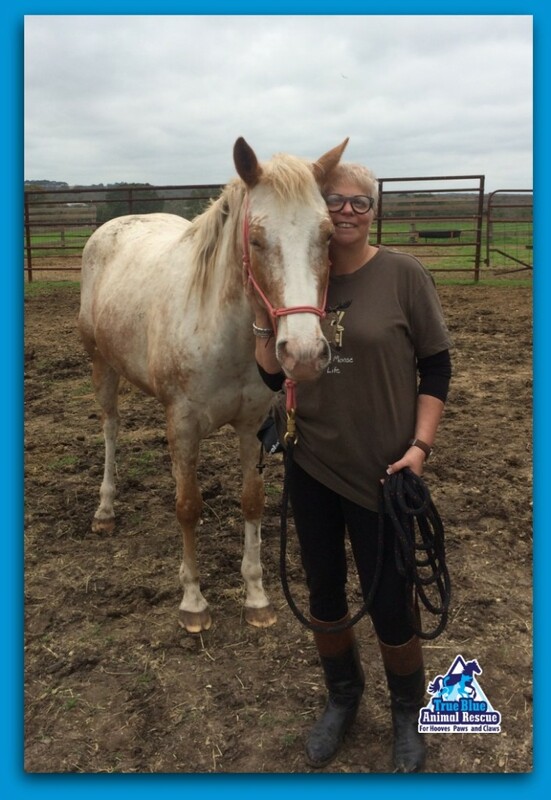 With T-Bar’s foster-to-adopt equine fostering option, Karlene was able to spend some time working one on one with Pinky making sure that they were the perfect match before making her commitment to adoption. After spending some time getting to know and work with this gorgeous girl, Karlene decided it was time to make Pinky a permanent part of her family. Hi T-bar folks. Just wanted to say thank you for the privilege you have granted me by permitting me to give your Shawnee her forever home. She is a sweet little mare and as you can see we are enjoying our ground lessons very much. We look forward to seeing you all on the trail someday soon. Have you rescued a pet by opening your heart and home to a T-Bar animal? Has your new rescue animal brought lots of joy to your life and family? Please share your T-Bar adoption story with us by emailing help@t-bar.org! 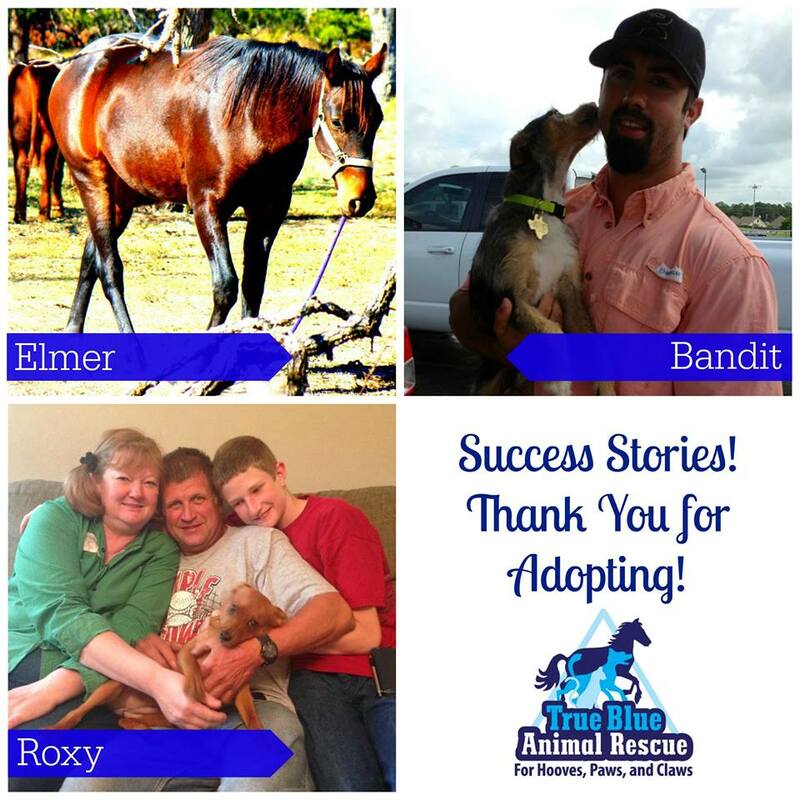 We love receiving updates, pictures and even videos from our past adoptive families. TBAR is a 501(c)(3) non-profit no-kill animal rescue organization. If you would like to help animals such as this one, please consider donating to TBAR, volunteering, fostering, or adopting. 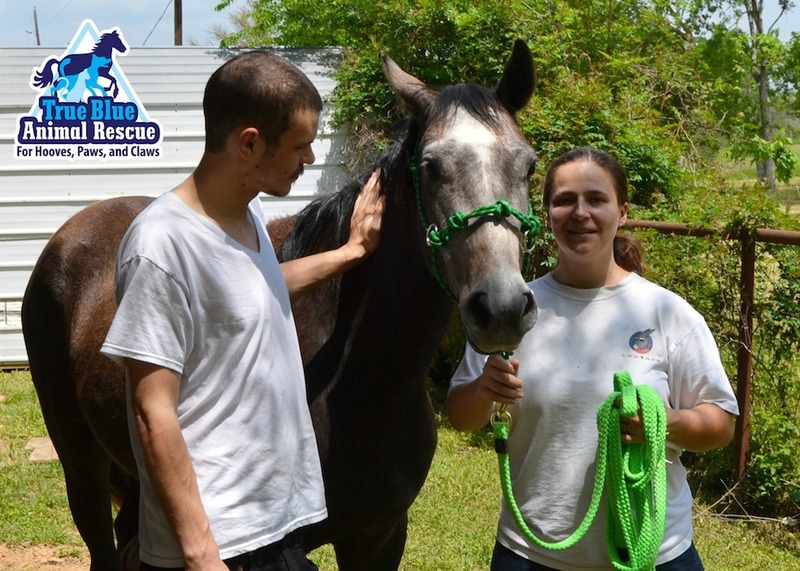 Donations go directly toward care, feed, and veterinary care of the rescued animals and every little bit helps us to help another animal in need of safety and rehabilitation. Rescue a pet: adopt instead of shop and spay or neuter your pets!